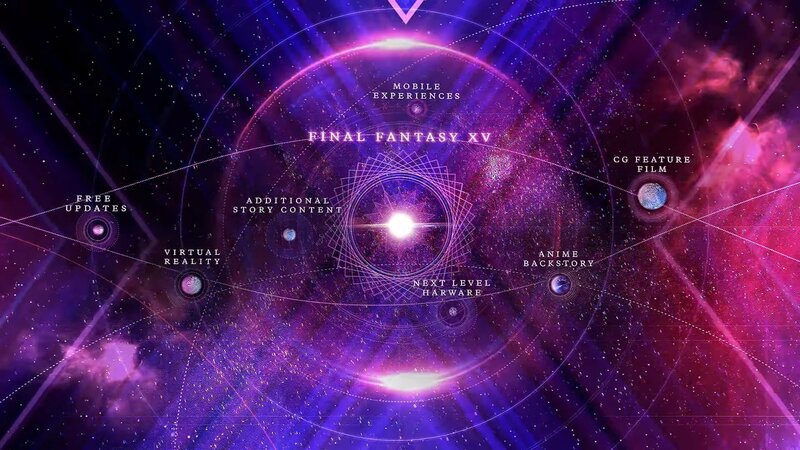 Similar to our ever expanding universe, the Final Fantasy XV Universe continues to expand, but not with space stuff, rather with new game editions and collaborations. While already containing the CGI film Kingsglaive, the (free) five episode Brotherhood anime, and two pieces of character focused DLC, the FFXV Universe grows even more with an upcoming Windows Edition for PC, Pocket Edition for mobile devices (maybe the Nintendo Switch), and a strange collaboration with Ubisoft’s Assassin’s Creed series. Combined with the upcoming Episode Ignis, free updates and impending multiplayer, the Final Fantasy XV Universe is looking to be the largest single Final Fantasy iteration to date – with nine pieces of additional content excluding the base game. First and foremost is the Final Fantasy XV Windows Edition, expected early in 2018 through Steam. While not surprising given Square Enix’s recent trend of releasing Final Fantasy games on PC, they have however given it a surprising amount of polish – even going so far as to say it has the “Ultimate Quality” in the trailer. The trailer highlights a number of upgrades this particular version will boast such as: 4K resolution textures, Dolby Atomos for more accurate placement of SFX, a first person camera mode, and a variety of enhancements via Nvidia GameWorks. View the trailer here to see for yourself. Secondly is the Final Fantasy XV Pocket Edition: the FFXV experience specifically tailored for mobile devices. The first noticeable thing being the more stylized graphics as a result of the technical downgrade. The purpose behind the Pocket Edition, as said by the director Hajime Tabata in a Gamescom interview linked here, is “[…] for those that don’t have a console, those who were unable to play FFXV until now. We wanted to provide a way for people to play everywhere – to try a Final Fantasy game.” Tabata also hinted at the possibility of FFXV coming to the Switch during a Twitch livestream at Gamescom 2017, saying “[…] we very much do want to move out and do as much as we can with the game and the franchise. There’s another certain console out there people may be thinking of. It sounds a little bit like… Twitch.” The Pocket Edition (you can view the trailer here) will be released in ten distinct episodes this fall, the first of which is free. Lastly, and easily the oddest, is the timed Assassin’s Creed collaboration DLC downloadable for free on August 31 2017 and ending distribution in January 2018. This DLC adds the Assassin’s Festival to Lestallum with not only costumes and mini-games, but also a new narrative thread. The story looks to involve all the usual ingredients of an Assassin’s Creed experience (scouring across Lestallum’s rooftops, hiding in the shadows, assassinating imperial soldiers) throughout what appears to a hostile occupation of the city poised to be availed by Noctis and the gang. View the trailer here, and be sure to access this timed DLC event before its scheduled end early next year! With the Final Fantasy XV Universe expanding evermore for the time being, what would you like to see? New gameplay elements, story add-ons? Episode Luna? More “NEXT LEVEL HARWARE”? Let us know with a comment or a tweet and be as detailed as you’d like, we’d love to hear! Editor’s Note: In the third paragraph, Tabata had hinted at the possibility of Final Fantasy XV being ported to the Switch, not specifically Pocket Edition. Too Far Gone regrets the error and has amended the sentence.